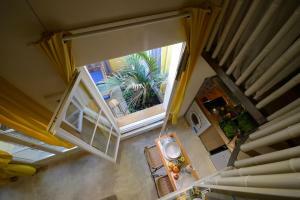 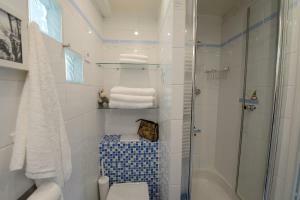 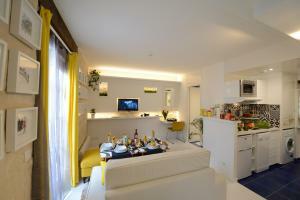 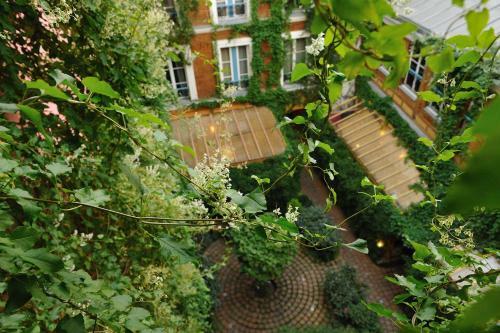 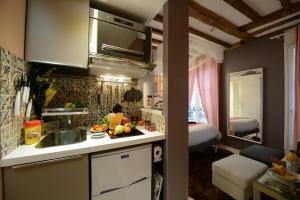 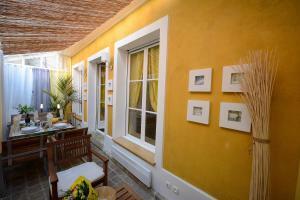 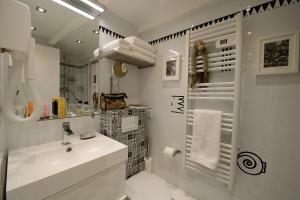 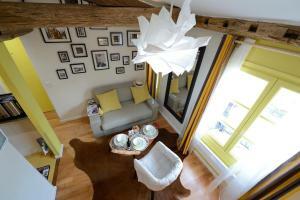 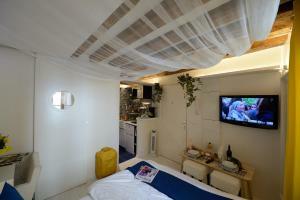 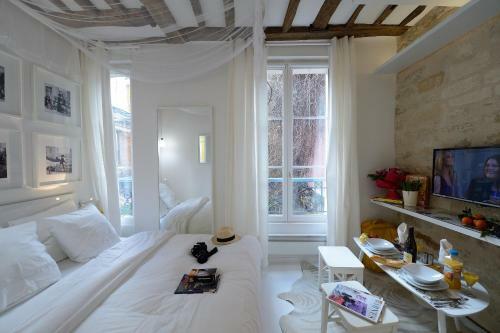 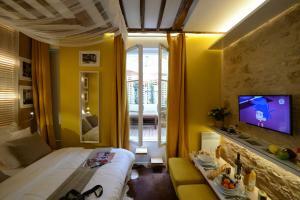 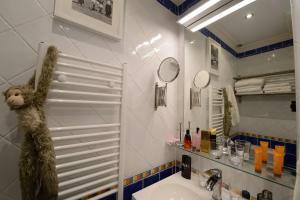 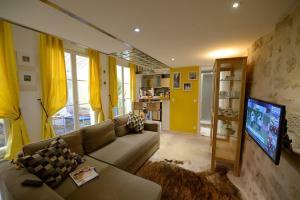 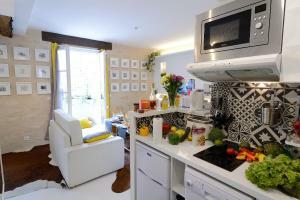 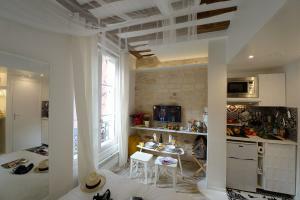 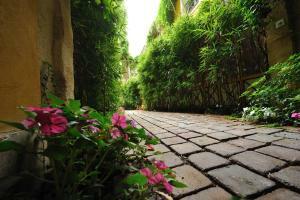 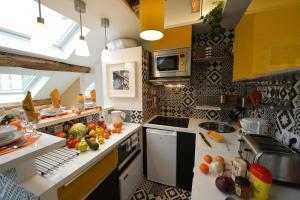 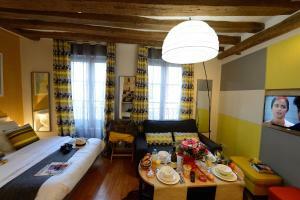 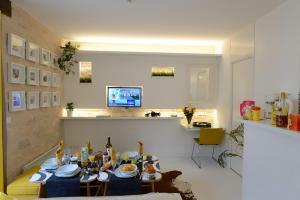 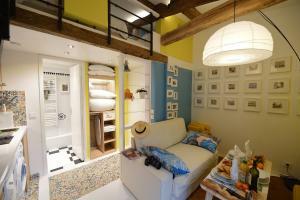 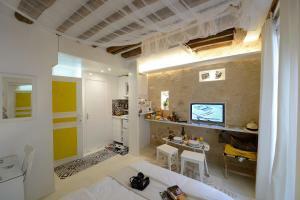 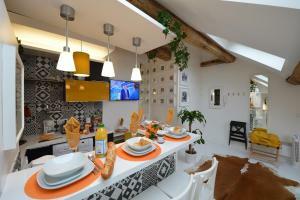 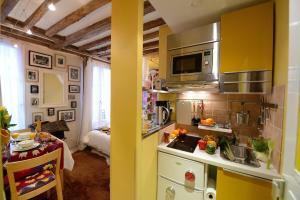 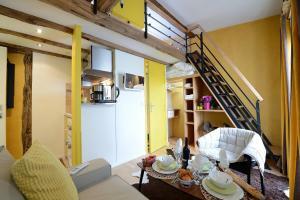 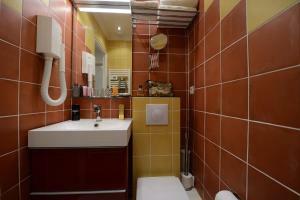 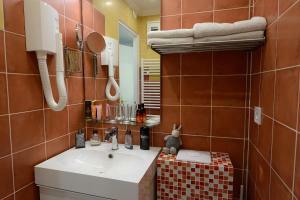 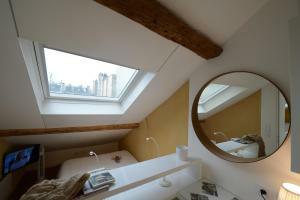 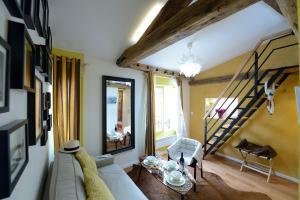 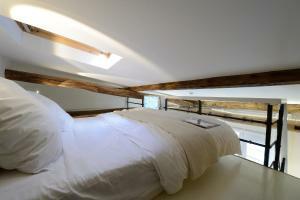 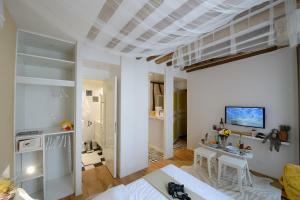 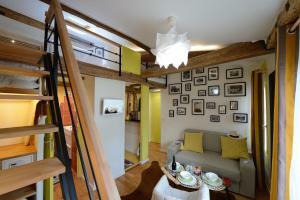 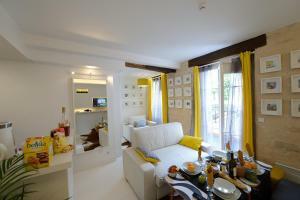 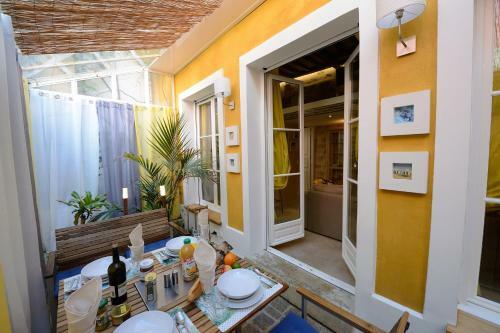 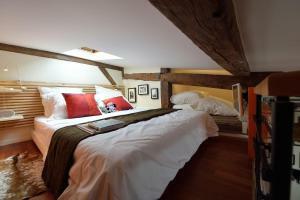 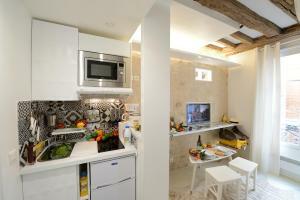 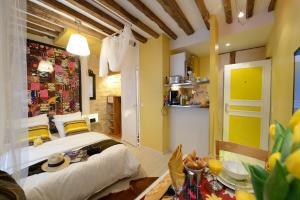 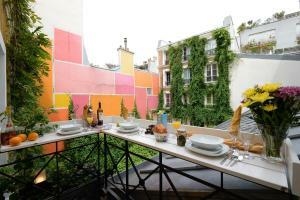 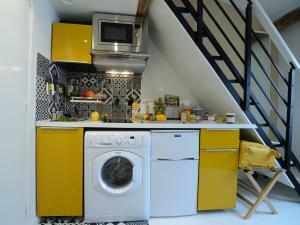 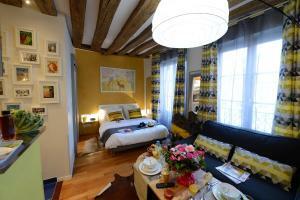 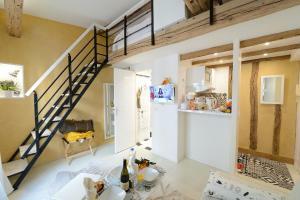 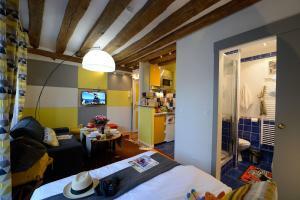 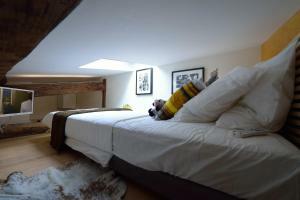 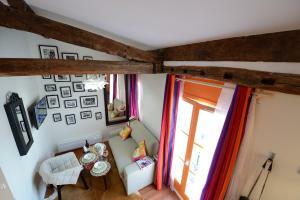 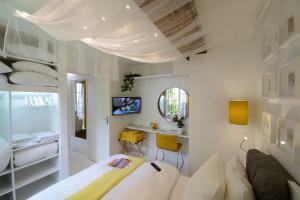 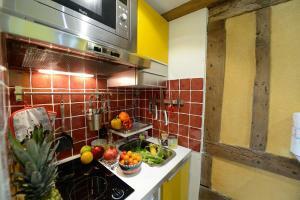 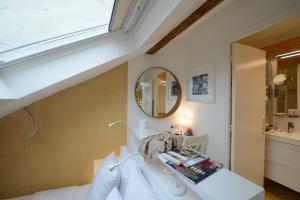 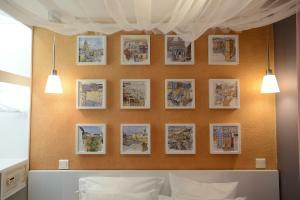 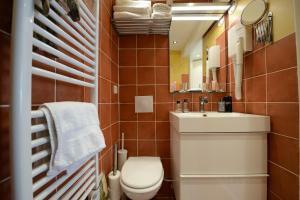 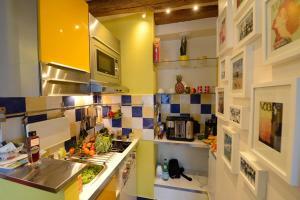 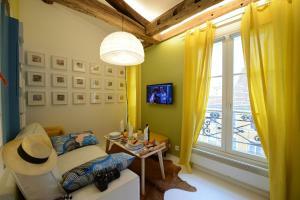 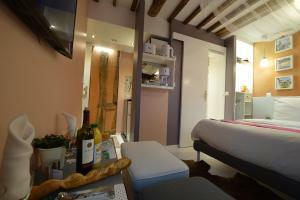 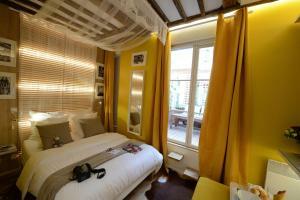 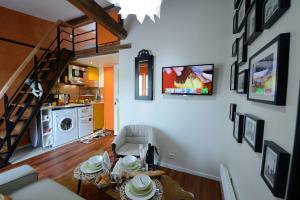 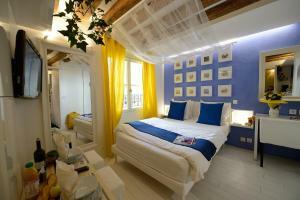 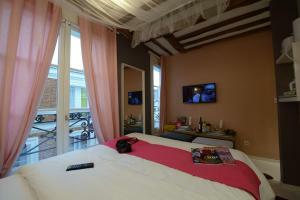 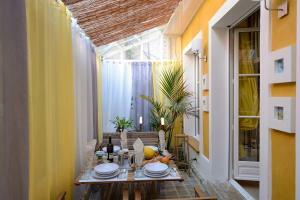 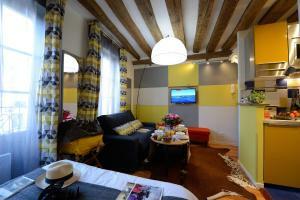 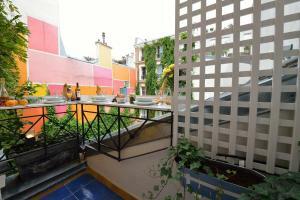 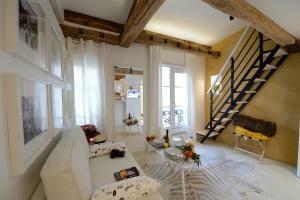 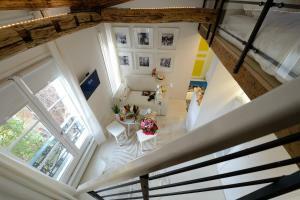 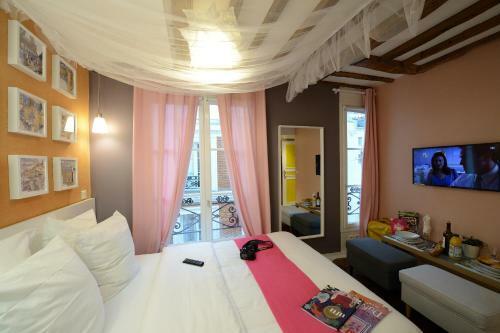 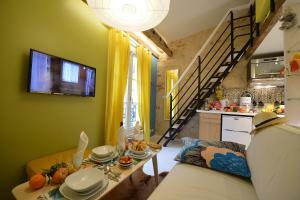 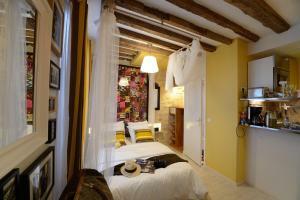 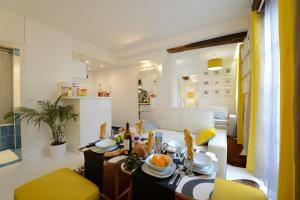 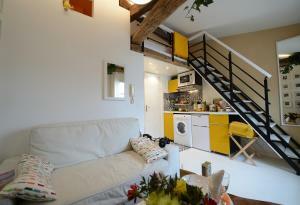 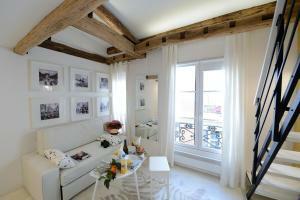 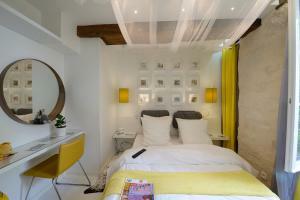 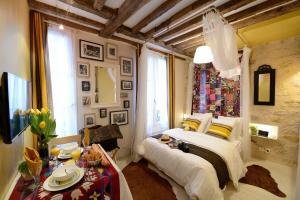 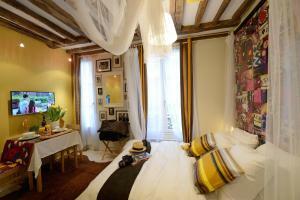 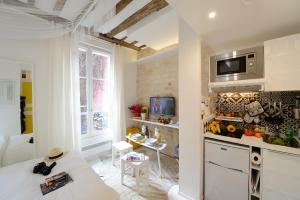 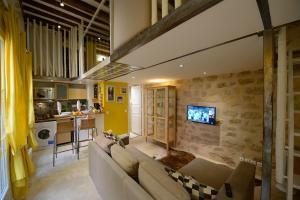 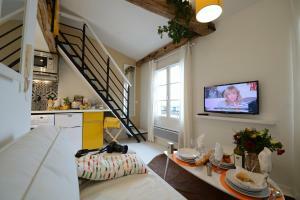 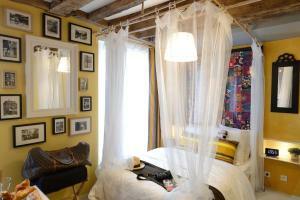 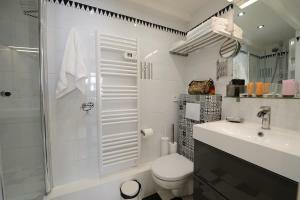 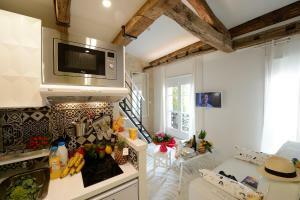 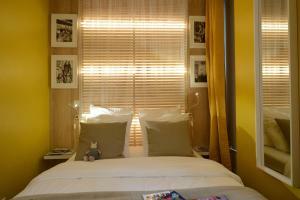 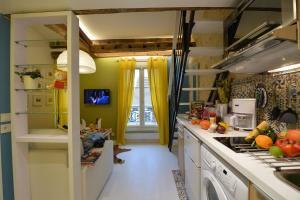 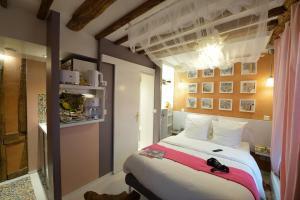 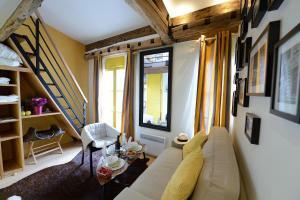 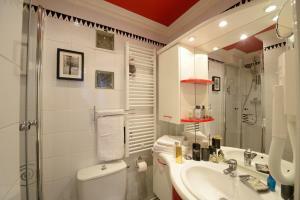 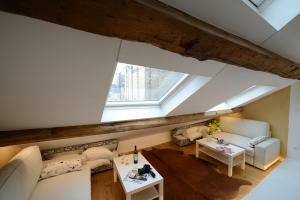 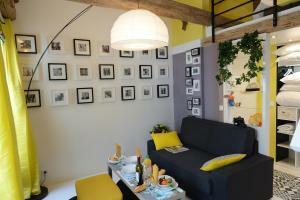 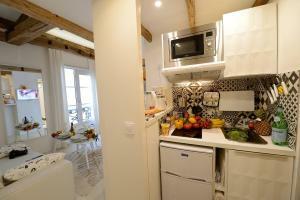 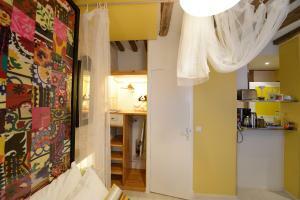 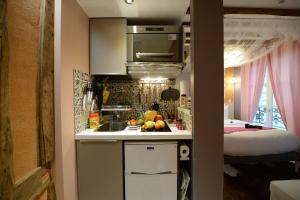 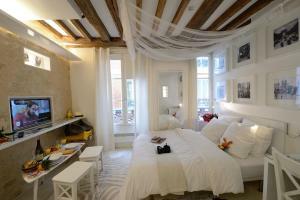 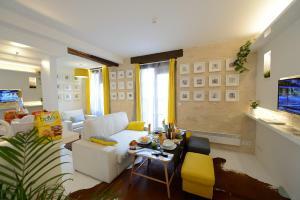 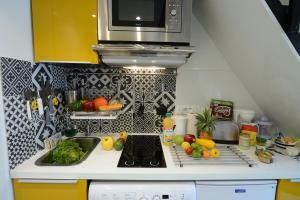 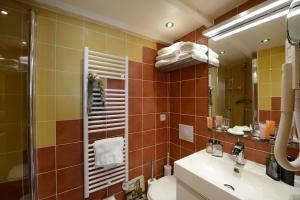 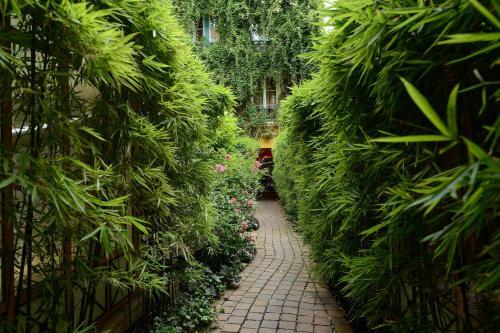 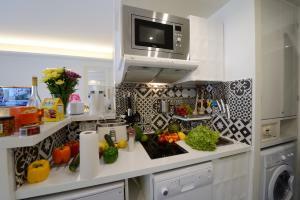 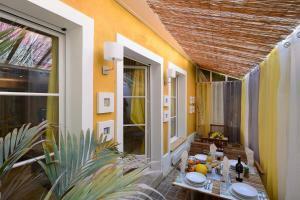 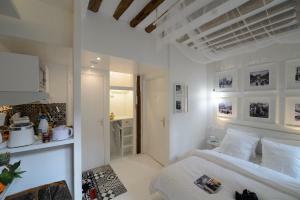 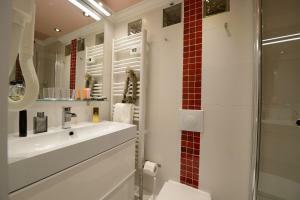 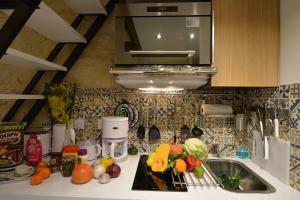 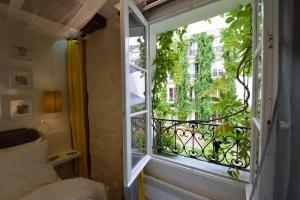 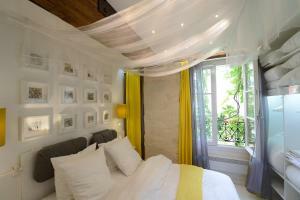 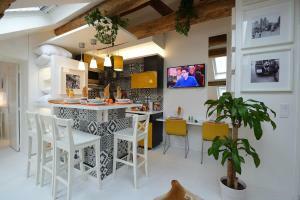 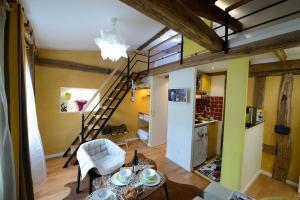 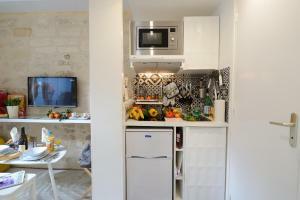 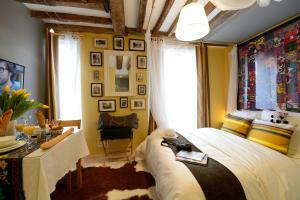 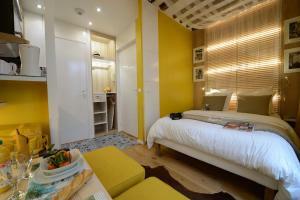 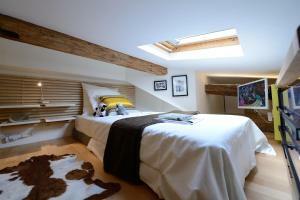 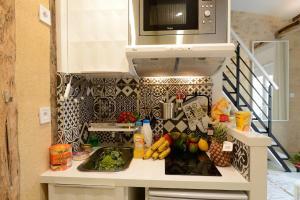 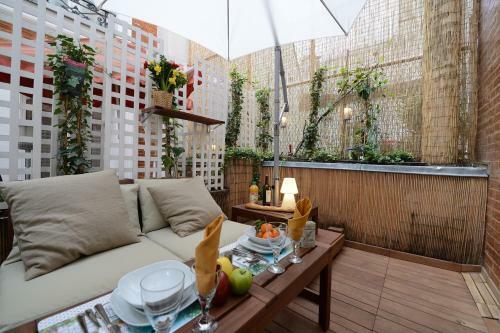 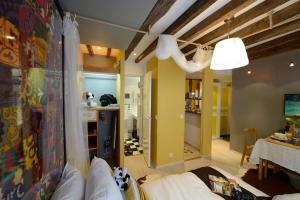 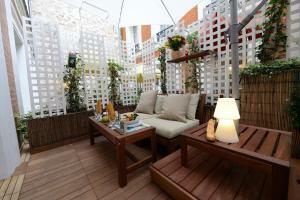 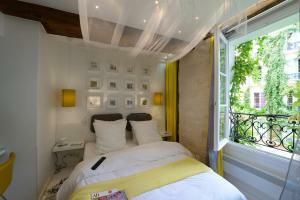 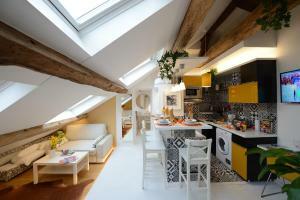 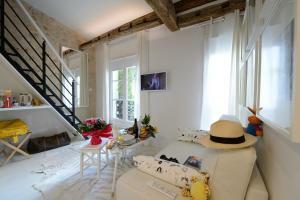 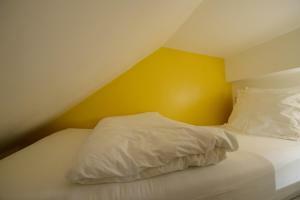 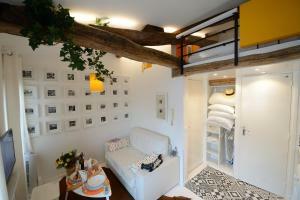 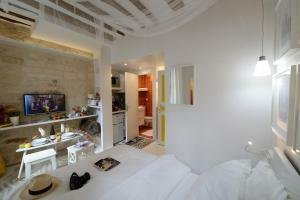 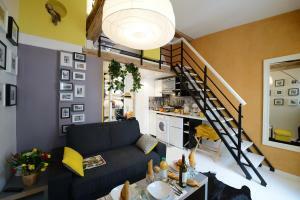 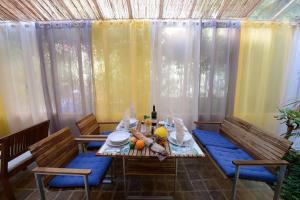 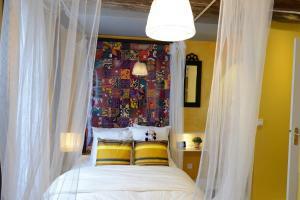 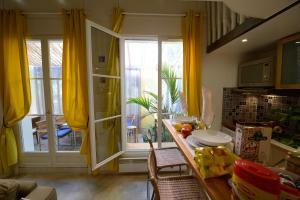 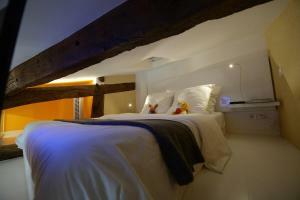 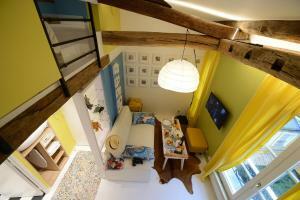 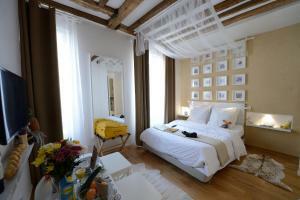 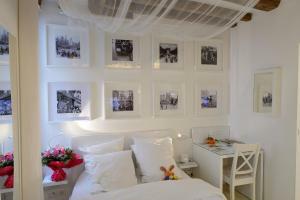 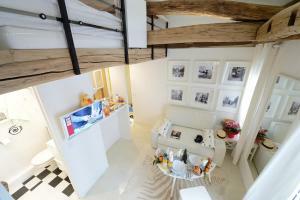 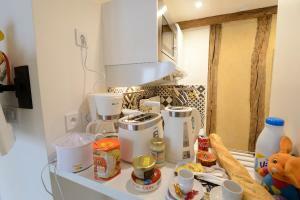 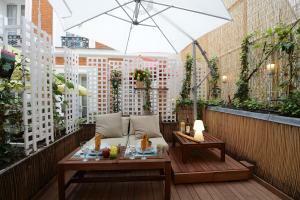 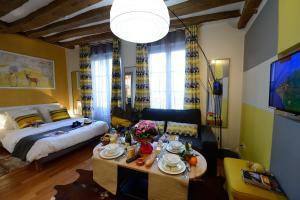 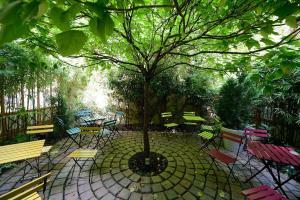 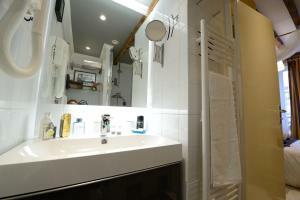 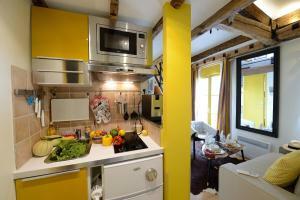 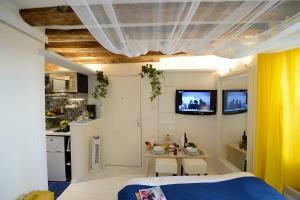 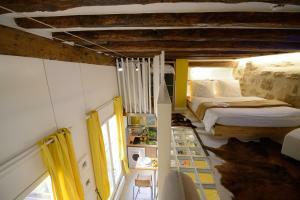 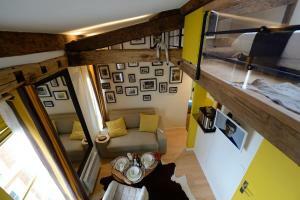 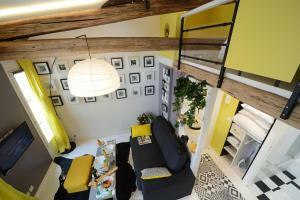 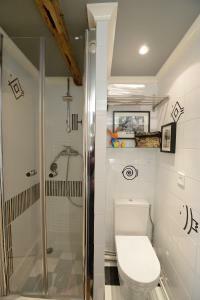 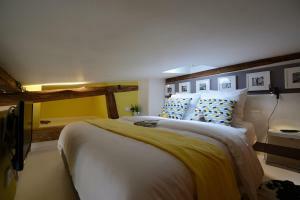 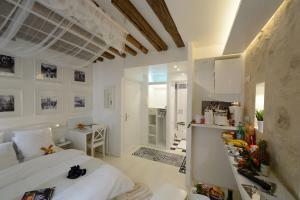 Les Patios du Marais offers elegant-style studios and a floral patio. 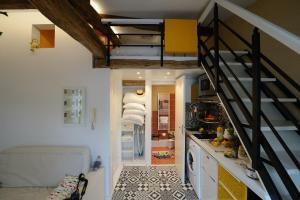 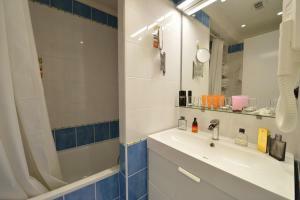 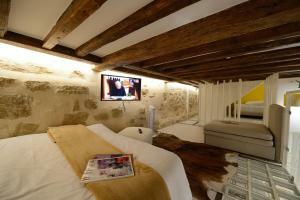 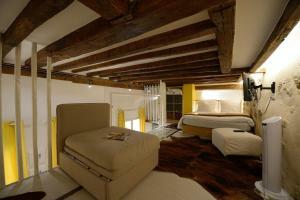 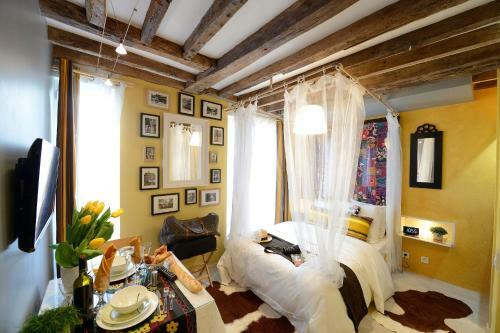 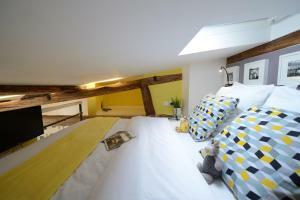 Located in the heart of Le Marais District, 600 metres from Pompidou Centre and set in a historic building, some have exposed beams and stone walls. 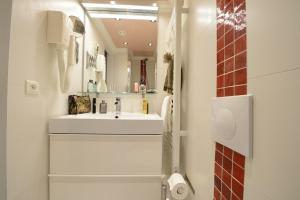 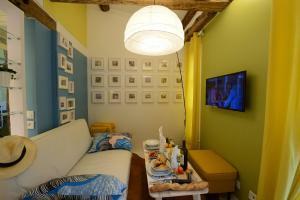 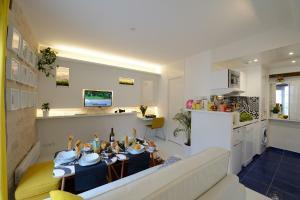 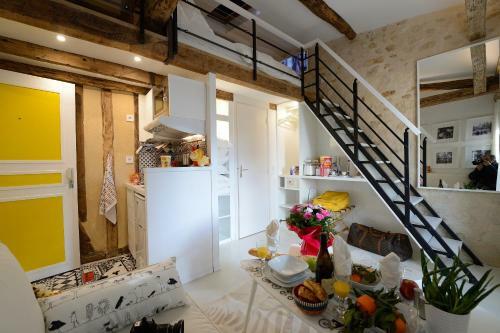 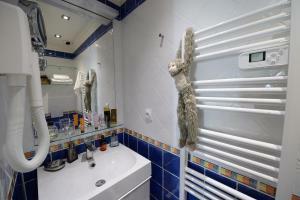 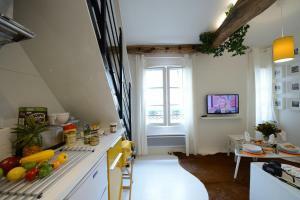 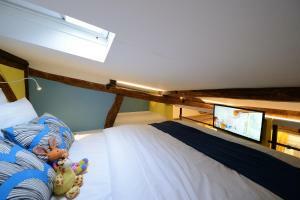 Accessible by a staircase and with a view of the communal garden, each uniquely decorated accommodation at Les Patios du Marais has a flat-screen TV with cable channels. 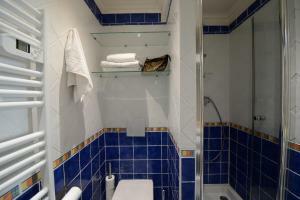 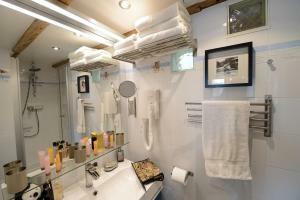 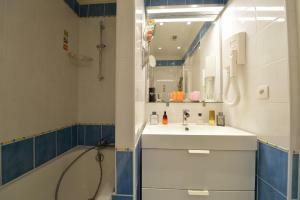 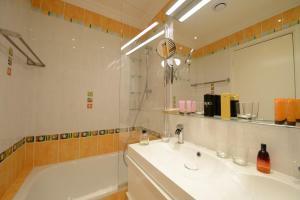 A luggage storage is at guests' disposal. 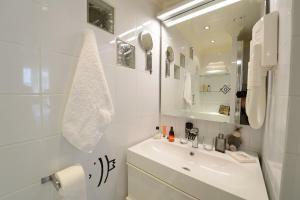 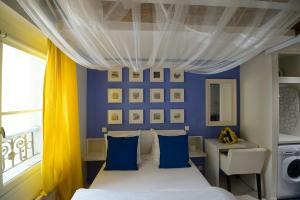 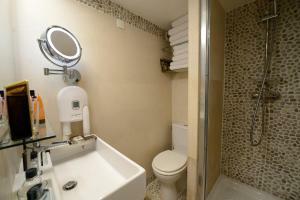 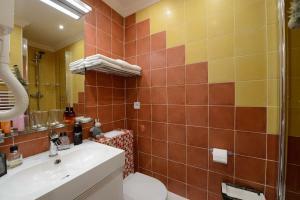 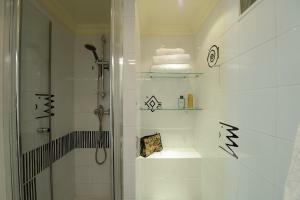 Rate: € 121.00 ... € 470.00; select dates below to get current rates. 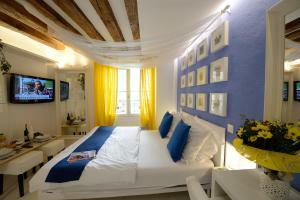 Rate: € 181.83 ... € 470.00; select dates below to get current rates. 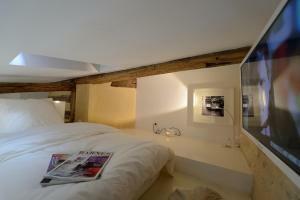 Rate: € 211.75 ... € 325.88; select dates below to get current rates. 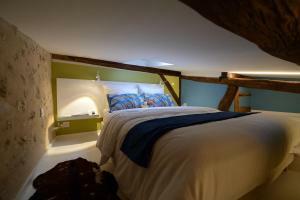 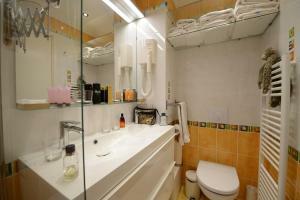 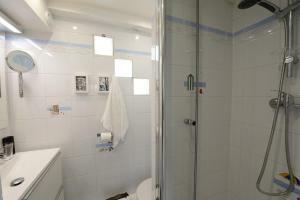 Rate: € 313.50 ... € 337.33; select dates below to get current rates. 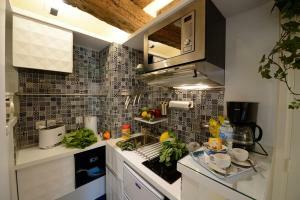 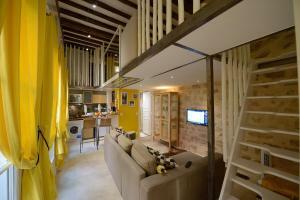 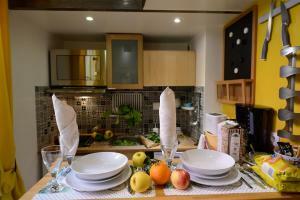 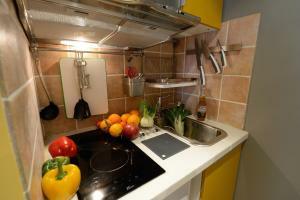 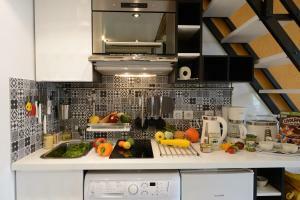 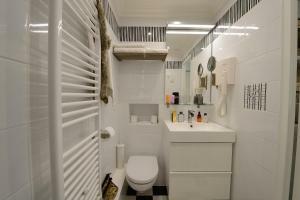 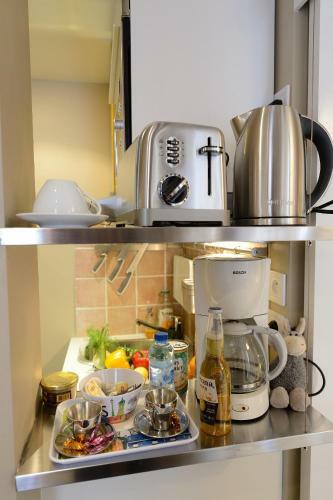 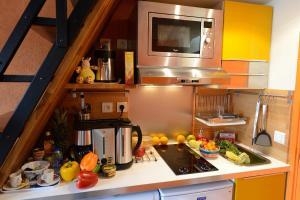 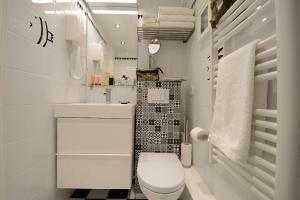 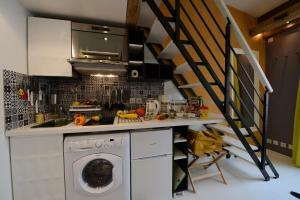 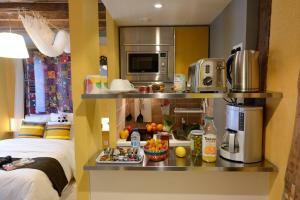 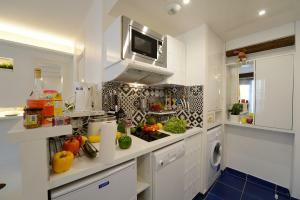 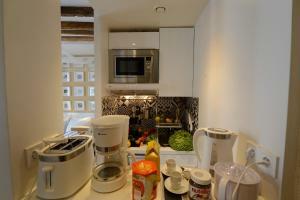 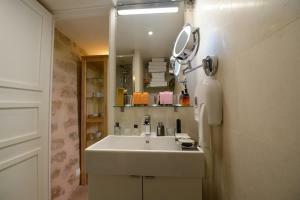 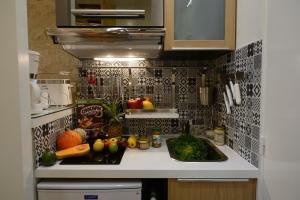 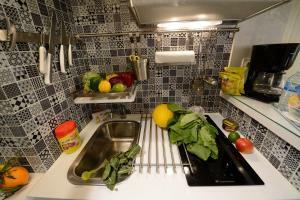 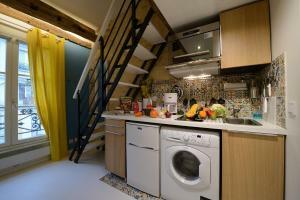 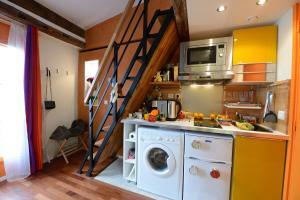 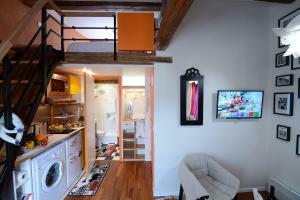 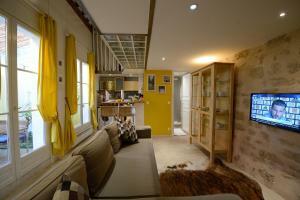 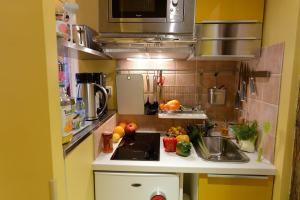 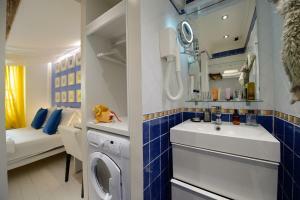 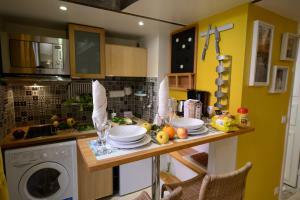 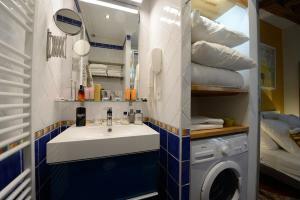 This apartment features a toaster, stovetop and kitchenette.